In the intervening five(!) years, I have learned that making caramel is pretty easy. Not that I still don’t mess it up from time to time. Melt butter and chocolate together. I use the microwave in short bursts, stirring well until the chocolate mixture is completely smooth. Bittersweet chocolate is good here to balance the sweetness of the caramel, but you could use semisweet chips in a pinch if you have to. With an electric mixer or a strong whisk arm, beat in the eggs, sugar, and vanilla. Spoon about half of the batter into a foil-lined baking dish. 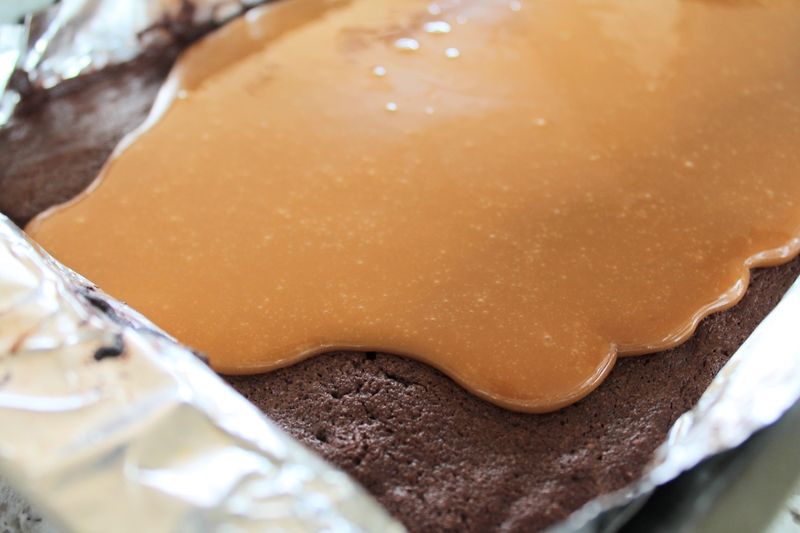 Yes, the foil is super important, because caramel is sticky, and you don’t want the brownies to be glued to the pan in the end. Bake this thin layer of brownie batter for 20 minutes. Then let it cool for 20 minutes! Yes, you do have to let them cool, otherwise the bottom layer will end up too mushy, not structurally sound enough to hold the top two layers. Okay, making your own caramels is awesome. You could make these salted caramels with honey and brandy, and then die of happiness. But it really is totally fine to use candies you bought at the store! 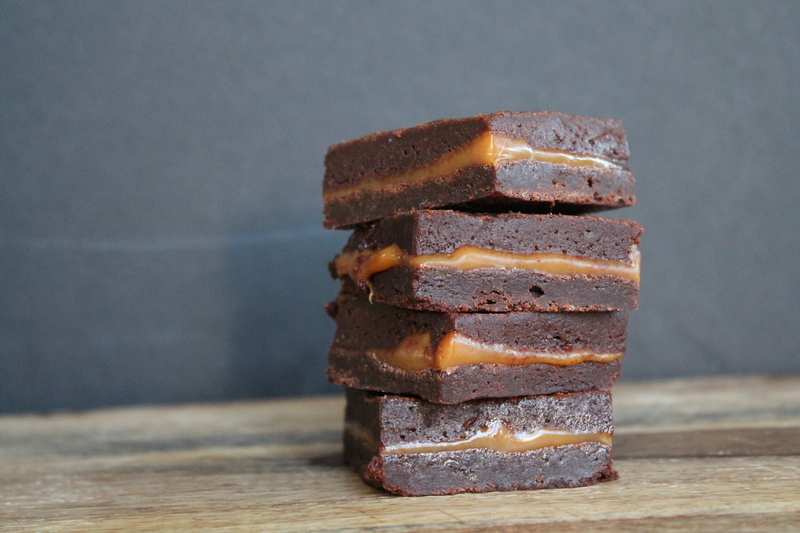 I used caramels from the bulk bins at Wegmans when I was taking these photos, and the brownies were so delicious. 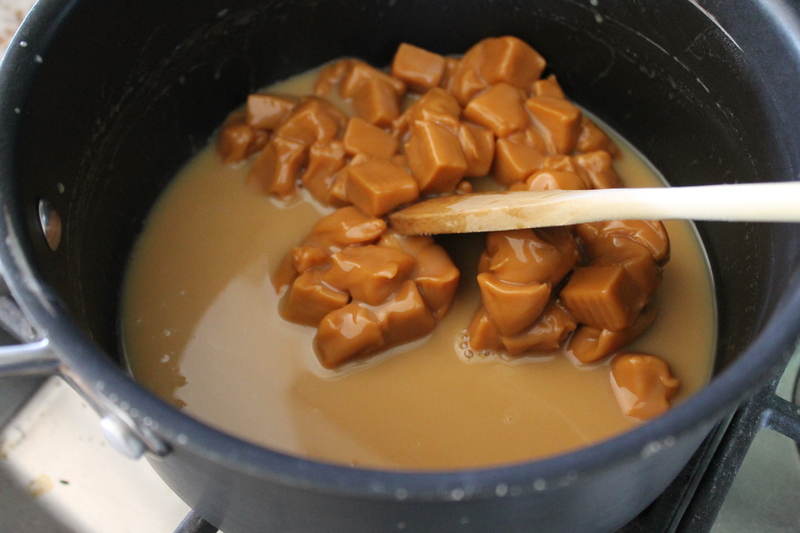 Don’t allow the caramel mixture to boil as it melts. Keep the heat low, and as soon as you achieve an even, soupy, stretchy caramel liquid, pour it over the bottom layer of brownies. Spread it around until it reaches the edges. Let this cool for 5 minutes so the caramel will start to set a little. This makes it easier to spread the remaining brownie mixture over top. Let the brownies cool completely. You can freeze them for 30 minutes or so if you are very anxious to eat! To cut the brownies, pull them out of the pan and peel the foil off first. Cut with a very sharp knife. Preheat oven to 350°. Line a 9″x13″ pan with foil. Melt the butter and chocolate together in a large, microwave-safe bowl, heating for 30-second increments and stirring well in between, about 2 minutes total. 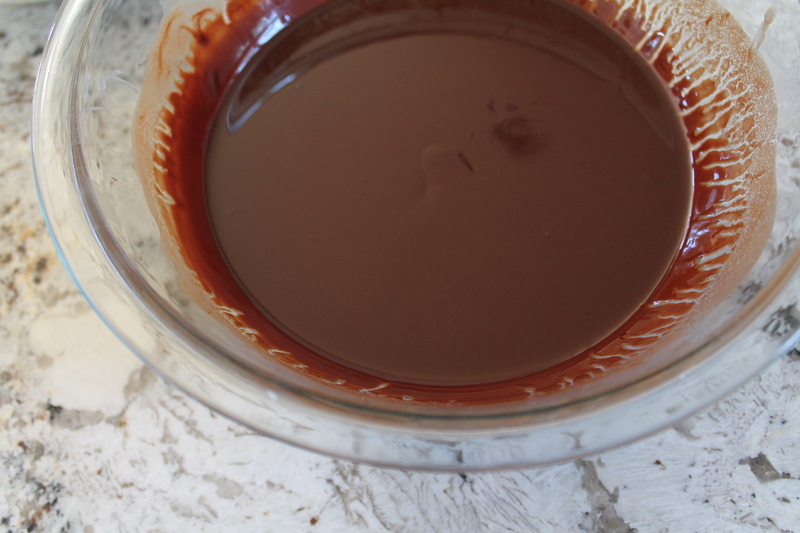 Stir until the chocolate is completely smooth and glossy. Add the sugar, eggs, and vanilla. Beat until well combined. 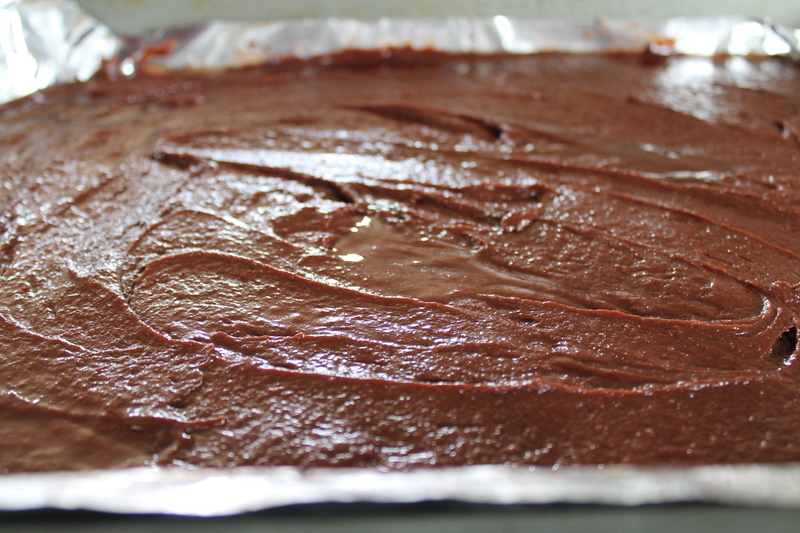 Spoon half of the brownie batter into the prepared baking dish, spreading in an even layer. Bake for 20 minutes. Cool the bottom layer for 20 minutes on a wire rack, leaving the oven on. Meanwhile, melt the caramels with the heavy cream over medium-low heat, stirring constantly until a stretchy, smooth sauce forms. 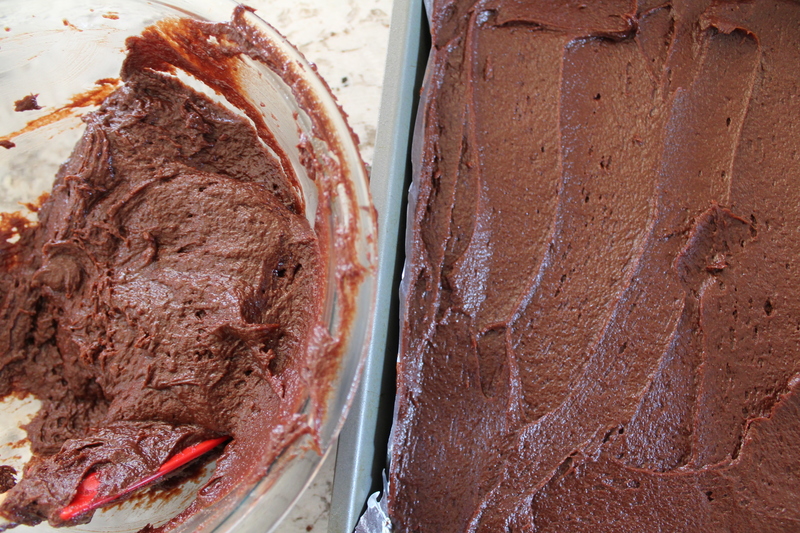 Spread the sauce over the partially cooled bottom brownie layer. Allow to cool for 5 minutes. Working quickly, spread the remaining brownie batter over the caramel. 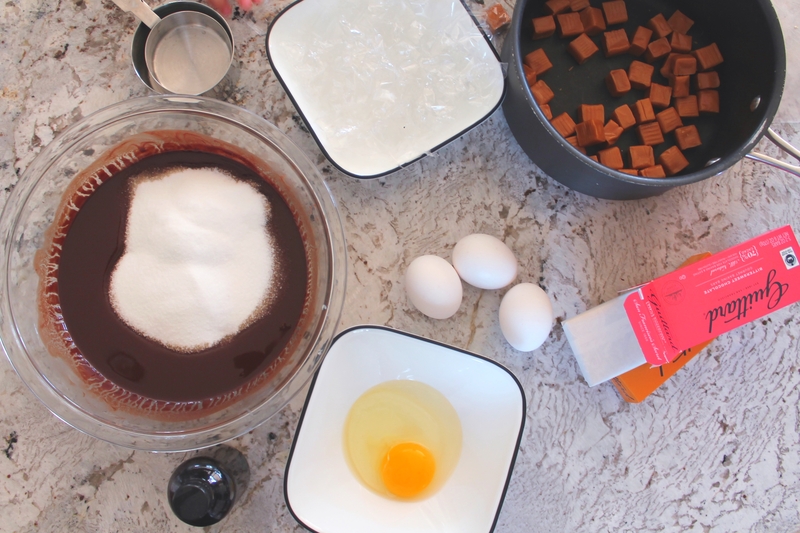 Bake another 20–25 minutes, or until the top layer of brownies is just set in the center and not gooey to the touch. 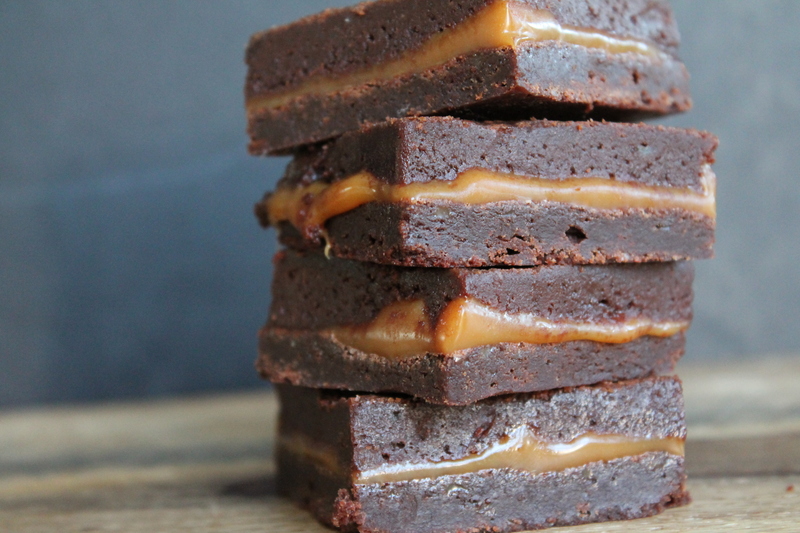 The brownies should be fudgy but firm enough to sandwich the caramel properly. Allow the brownies to cool completely before cutting. Optionally freeze for 30 minutes straight out of the oven to speed the cooling process. Lift the brownies out of the baking dish using the foil, and peel back the foil before cutting with a sharp knife.